Road cycling tip – In this video I share what breakfast works best for early morning group rides. Cycling training for road cyclists – In this video I give some training tips on how to train for long climbs or mountains when you live on flat roads. Road cycling training tips – in this video I share why mental preparation is critical to your cycling performance and enjoyment. Cycling training tips – in this video I share what works well to help speed up your recovery after a hard weekend of riding. In this video I share 3 road cycling tips on how to go faster on your road bike while pushing less power to the pedals. Welcome to Simon Says Cycling! Simon Says Cycling is for the everyday competitive cyclist who wants to become better, what ever “better” means to you. Each week I will be sending you the best I have to offer and it’s totally free. The best training tips, the best tips on strategy and bike set-up, the best ways to achieve peak performance and much more. 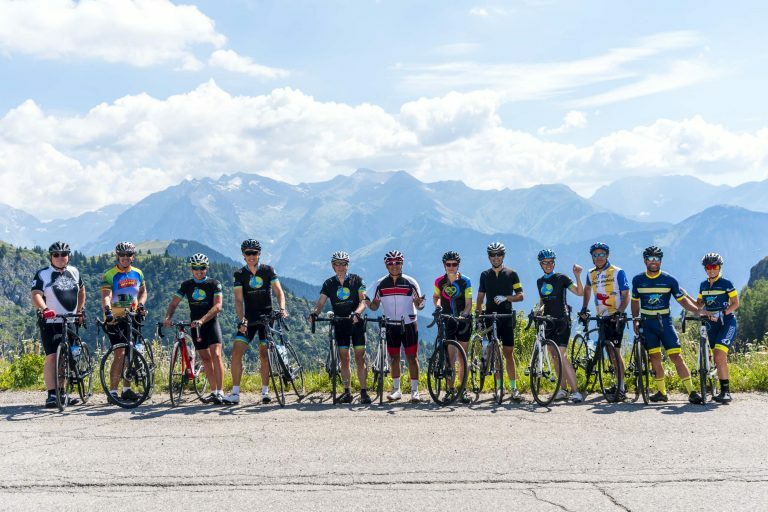 A Tour de France bike race Experience! Each year we take people to see the Tour de France. In this 2 minute video you will get a small taste of the magical experience of being in France in July to witness the race. This video was shot during our 2014 Tour de France final week trip where we saw 4 epic stages while traveling to the Pyrenees, Bordeaux and Paris. Mont Ventoux, or the “Giant of Provence” is a mountain in the Provence region of Southern France located some 20 kilometers (12 miles) northeast of Carpentras. Although Ventoux is geologically part of the Alps, it is considered separate due to the lack of mountains nearby. Mont Ventoux is a legendary mountain in the Tour de France. It has been ascended 14 times since 1951 and has been witness to dramatic scenes like the death of British cyclist Tom Simpson in 1967 who collapsed from exhaustion near the summit. In recent years it has been the stage for battles between Armstrong and Pantani and legendary solo breakaway wins of Richard Virenque and non-climber Eros Poli. In this video Simon Kessler and Dirk Bockel, world famous triathlete, discuss some techniques on how to prepare mentally for a big event. In today’s busy world many of us struggle to schedule regular training rides that will lead to consistent improvements. At first we manage to train well for a while and then life happens with work pressures and family commitments breaking the training pattern. As a result we train less and only infrequently which causes us to lose fitness. This cycle seems to repeat itself which can lead to feelings of frustration. What if you could maintain and even improve your fitness with 3-4 short rides each week that are designed specifically to maximize your training time available? I know you can as this is what I have done for many years training just 4-5 hours each week. By training in a highly specific way I am able to stay competitive on local group rides and keep my threshold power at high levels.